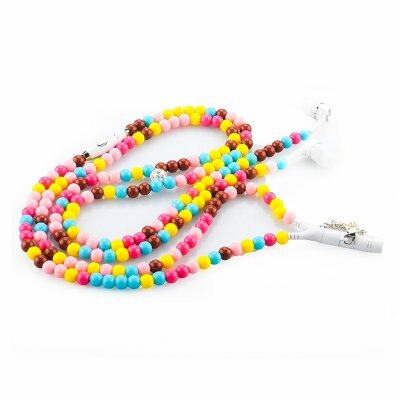 Successfully Added Necklace Earphones - With Microphone + Earphone Extension Cord (Multi-Color) to your Shopping Cart. Necklace Earphones is a practical and colorful way to listen to music on your mobile phone or MP3 player plus it has a built-in Microphone and comes with an Extension Cord. 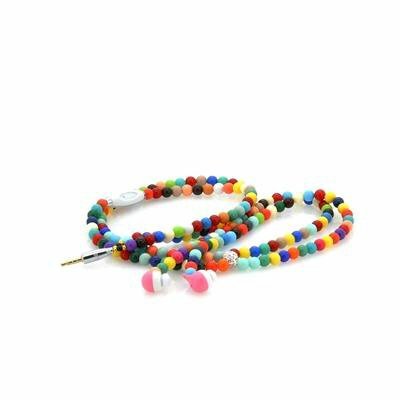 Stand out in the crowds with this colorful yet charming stereo necklace earphones. Wear it just like a regular necklace but plug the 3.5mm audio adapter into your mobile phone or MP3 media player and then insert the ear pieces into your ears. If you are using these earphones with a mobile phone and you receive a call you can answer the phone and talk using the built-in microphone that this colorful necklace offers. Also if you necklace isn’t long enough to reach your MP3 player or media device you can use the extension cord that comes as part of the package. This Necklace Earphones With Microphone and Extension Cord is now in stock and can be dispatched within one working day with a fantastic 12 months warranty. Brought to you at an amazing low price by the online leader in headphones and electronic gadgets and accessories, Chinavasion. The earphone extension cable doesn’t support talking function, only music.